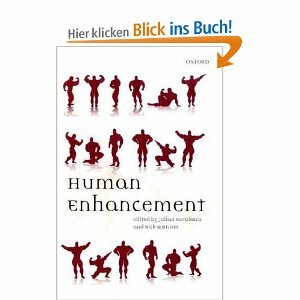 In a recent publication the editors Julian Savulescu and Nick Bostrom compile several positions in the enhancement debate, basically gathering around the question, to what extent we should use technology to try to make “better human beings”, which undoubtfuly guides towards profound ethical questions. Nick Bostrom is Director of the Future of Humanity Institute at the University of Oxford. He previously taught at Yale University in the Department of Philosophy and in the Yale Institute for Social and Policy Studies. This entry was posted in Enhancement, Literature, posthumanism, Transhumanity. Bookmark the permalink.